Williams, MR, Nayshut M, Hoefnagel, A., et al. “Efficacy Outcome Measures for Pediatric Procedural Sedation Clinical Trials.” Anesthesia & Analgesia, Vol. 126, no. 3, 2018, pp. 956–967, doi:10.1213. Throughout the sedation literature, there is an overall lack of consistent and reliable measuring tools for assessing sedation efficacy and outcomes. This makes the comparison of multiple sedation studies and reviews difficult. 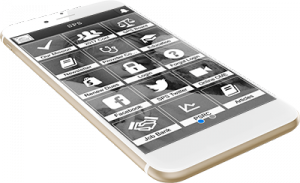 Outcome measures frequently of interest include sedation scales, pain scores, recovery and time to discharge. Williams et al conducted a systematic review of the literature looking specifically at outcome measures within the pediatric sedation literature. A PubMed search was conducted for prospective studies that compared sedative agents/regimes for pediatric procedures. Retrospective and case reports were excluded. Procedures involving adults or general anesthesia as well as procedures performed in the pediatric intensive care unit were also excluded. The initial search yielded 4,396 articles that were found to be relevant, of which 1,738 were found to be pediatric. 1,558 were excluded after initial review of the abstract and/or title. References of the remaining articles were reviewed and a total of 173 articles were included in the initial analysis. A sedation scale was used as an outcome measure in 56% of the clinical studies reviewed (97/173). The most frequently used sedation scales were the Ramsay scale, the University of Michigan Sedation scale (UMSS) and the Wilton scale. The most commonly assessed behavioral scales were the Houpt scale and the Frankle scale, which assess crying, sedation and movement. Pain was assessed in 25% of the reviewed studies (43/173) and was evaluated separately from measures of sedation. Satisfaction (child, parent, clinician) was assessed in 40 studies. Time to recovery and recall were other separate measures that were assessed in over 30 studies. Sedation was assessed every five minutes in over 40% of studies. Despite the frequency of use of these scales across multiple studies, no specific study assessed the validity or reliability of most of these scales. 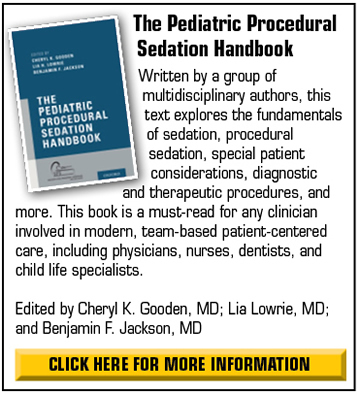 Consistent, reliable, reproducible and effective measures of outcome are critical when designing and interpreting pediatric procedural sedation literature. The variability in outcome measures across the literature shows that there continues to be a lack of consensus and standards in this area. This appears to be consistent with adult sedation literature, which also is lacking in consistent outcome measures. There appears to be no “gold standard” to prove sedation efficacy. A similar article by Williams et al looking at adult sedation outcome measures and sedation scales shows similar lack of generalizability. Satisfaction scales also appear to have been evaluated across a small number of sedated procedures. 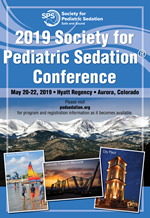 More research is needed across both adult and pediatric sedation in an effort to both create and standardize measures of sedation outcomes. Williams, MR, McKeown, A, Dexter, F, et al. “Efficacy Outcome Measures for Procedural Sedation Clinical Trials in Adults: An ACTTION Systematic Review.” Anesthesia and Analgesia, Vol 122, no. 1, 2016, 152-170.